Check out the June issue to read about fermentation, rising restaurant trends, balancing authenticity and innovation, and a profile on Save-A-Lot's Eric Iserman. CRC®-certified RCA member and director of culinary and innovation at CTI Foods, Jerome Rejano, shares how his certification helps to differentiate the talent at CTI Foods from their competitors in the June issue of BOSS Magazine. 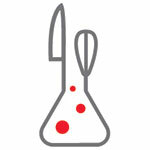 Are You a Leading Research Chef? 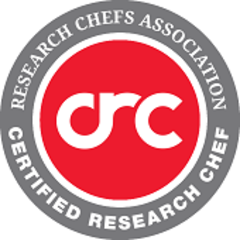 The Certified Research Chef (CRC®) designation confers a new status on experienced research chefs who have augmented their culinary arts background to include a competence in food product research and development. 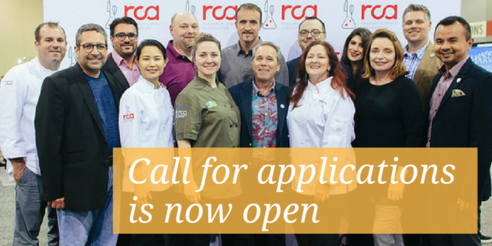 This RCA certification verifies the education, work experience and expertise that the research chef brings to the marketplace and sets you apart in the industry. "Today, while fermentation still preserves foods, consumers enjoy fermented foods for other reasons, most notably for wellness benefits and flavor adventure. Chefs have learned that incorporating fermented ingredients into prepared foods adds an extra dimension to flavor, one not attainable by any other means." 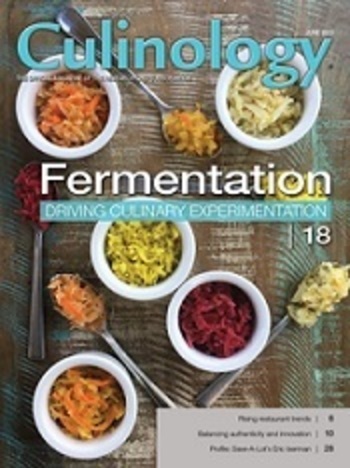 Read more about fermentation in the June issue of Culinology® magazine.